Upgrade yourself and travel Five-star with the luxury Travcotels Regent. Designed and crewed to meet your every need, a river Nile cruise aboard the Regent is one of the most relaxing and enjoyable ways to experience the majesty, beauty and history of the ancient and exotic land of Egypt. 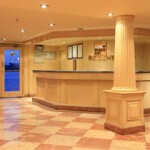 The ship features a round-the-clock reception service as well as internet facilities, international telephone and fax (against charge) with a meeting space available if it is fully chartered. 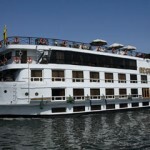 The Regent has large double and single cabins, each with panoramic windows and magnificent views of the stately Nile (except the lower deck cabins). Stylishly decorated with modern furnishings and a cosy, intimate, atmosphere, they feature plenty of seating room and closet space for your own private retreat. 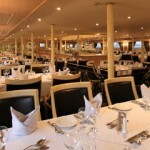 Dining aboard the Regent is an experience to savour with delicious aromas and tastes to tempt you. Cruising is all about the journey as well as the destination. Aboard the Regent your voyage will be as pleasurable as we can possibly make it. The upper deck (2) comprises of 18 double cabins while the upper deck (1) immediately below has 30 double and 2 single cabins. 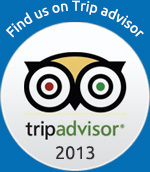 The main deck features 20 cabins and the lower Nile deck houses 8 double and 2 single cabins. Cabins have large panoramic windows overlooking the Nile (except the lower deck cabins). Every cabin is fully air conditioned (individually controlled) and a full laundry service is also available on request. Marine Satellite TV (while docked) and music system. Onboard the Regent, it‘s the finer details that are of the ultimate importance. Expect superior cuisine and a spacious fine dining experience in the Regent’s main restaurant with a tempting selection of regional and international dishes for breakfast, lunch, tea and dinner. The spacious dining room can accommodate all guests in one sitting and the equally spacious and luxurious lounge features comfortable seating and a full bar. 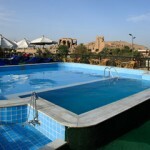 You could also try the pool bar, sipping refreshing drinks while admiring the view from the Sun deck. The swimming pool and pool bar are located on the large Sun deck where you can sink into a sun lounger, enjoy the massage service or just admire the scenery as it glides past. A gift shop on board will supply souvenirs or you can visit the ship’s own library for reading matter to exercise the mind while your body simply relaxes. Indulge yourself in the beauty salon (open twice a week on request in Luxor and Aswan) and keep in touch through an international telephone and fax service. In the evenings, enjoy regular music and Egyptian folkloric performances held nightly in the lounge.